In an interview with the BBC, the Dalai Lama, the exiled spiritual leader of Tibet, criticized the international community for not doing more to encourage democracy within China. Although he affirmed that the continuation of the institution of the Dalai Lama would be up to the Tibetan people, he stated that he would prefer to end the centuries old institution of the Dalai Lama rather than have an unworthy successor, who disgraces it. Exiled Tibetan spiritual leader the Dalai Lama has said he realizes that he may be the last to hold the title. But he told the BBC it would be better that the centuries-old tradition ceased "at the time of a popular Dalai Lama". The Dalai Lama suggested the UK had taken a soft line with China over Hong Kong's recent student-led pro-democracy protests for financial reasons. He also said the international community needed to do more to encourage democracy in China. "China very much wants to join the mainstream world economy," he said. "They should be welcome, but at the same time the free world has a moral responsibility to bring China into mainstream democracy - for China's own interests." Beijing views the Nobel Peace Prize-winner as a "splittist", though he now advocates a "middle way" with China, seeking autonomy but not independence for Tibet. In a wide-ranging interview with the BBC's Newsnight programme, during a visit to Rome for the 14th World Summit of Nobel Laureates, the 79-year-old spiritual leader conceded that he may not have a successor. Whether another Dalai Lama came after him would depend on the circumstances after his death and was "up to the Tibetan people", he said. He pointed out that the role no longer included political responsibilities; in 2011 the Dalai Lama handed these to an elected leader of the Tibetan government in exile, Lobsang Sangay. The move was seen by many as a way the Dalai Lama could ensure the Tibetan community would have an elected leader in place outside the control of China. 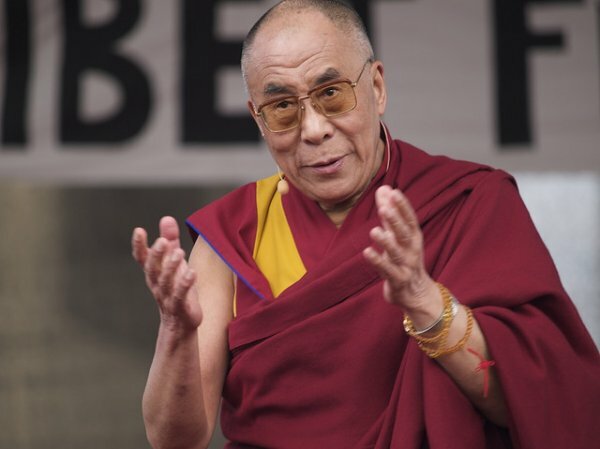 China has said repeatedly that it will choose the next Dalai Lama. "The Dalai Lama institution will cease one day. These man-made institutions will cease," the Dalai Lama told the BBC. "There is no guarantee that some stupid Dalai Lama won't come next, who will disgrace himself or herself. That would be very sad. So, much better that a centuries-old tradition should cease at the time of a quite popular Dalai Lama." Tibetan Buddhism's second-highest figure is the Panchen Lama - a figure who is meant to play a key role in the choice of the next Dalai Lama. A young boy was named as Panchen Lama by the Dalai Lama in 1995, but China rejected this and chose its own candidate. The whereabouts of the Dalai Lama's choice are unknown.